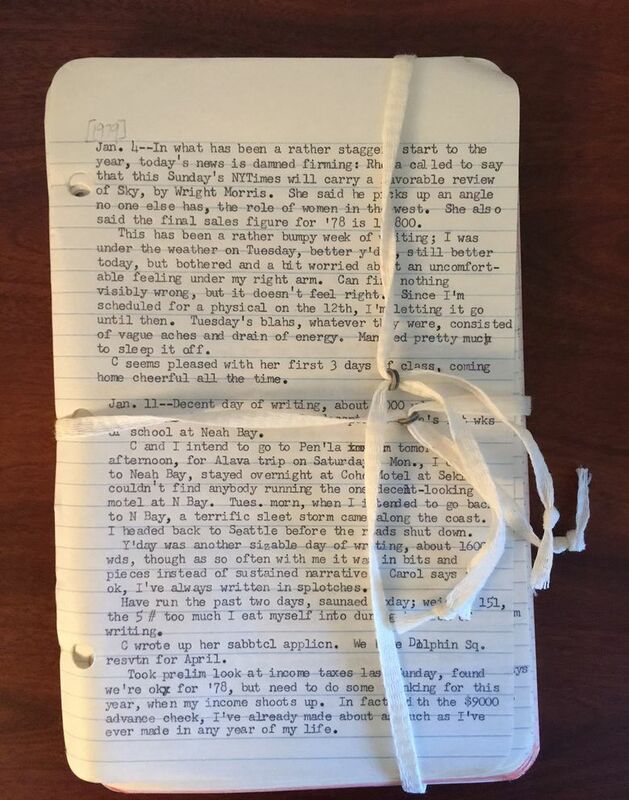 Seattle author Ivan Doig, who died in April, assembled a massive archive of notes, diaries, photos, notebooks, funny sayings and more. Now, that archive is going to Montana State University, in the state he loved. Seattle writer Ivan Doig had “the soul of an archivist,” says his widow, Carol Doig. He recorded and filed everything. Notes. Diaries. Pocket notebooks. Photos. Funny turns of phrase and risqué folk sayings. Fifty years of greeting cards he and Carol wrote to each other, notes attached. 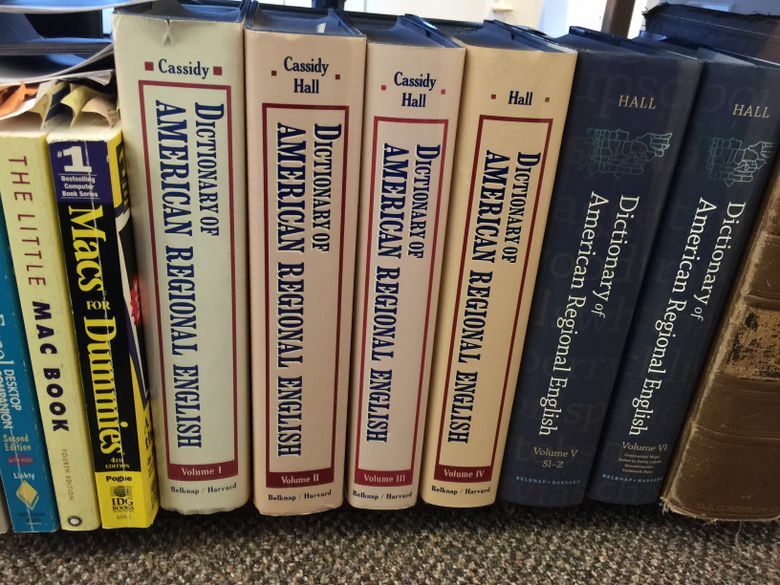 Ivan Doig’s Dictionaries of American regional English. 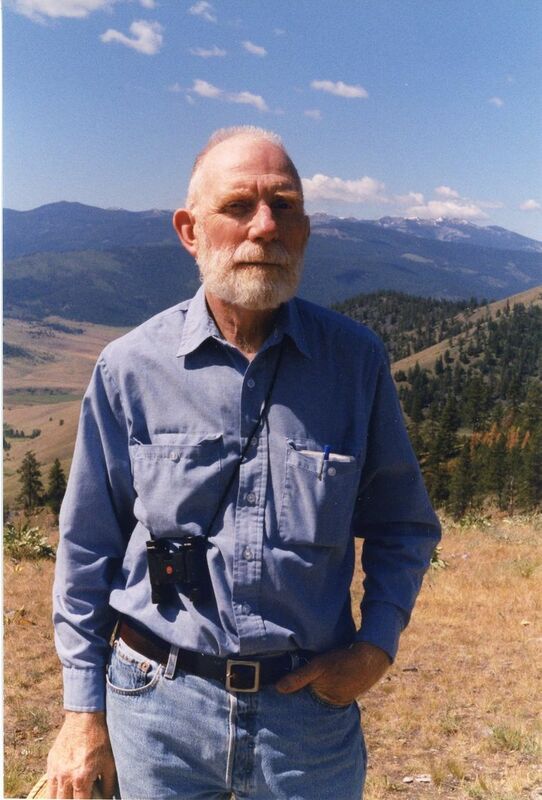 Doig was author of 16 books — 13 novels and three nonfiction books. He died of multiple myeloma in April. He had been a published author since the 1970s — his memoir, “This House of Sky,” was a 1979 National Book Award finalist. Doig had lived with cancer for eight years, and he thought he had battled his illness if not to a standstill, to a stalemate, a place where he could keep working on all the books yet to be written. Last December he began to sense that might not be the case. Doig called in a friend and librarian, Betty Mayfield, who has worked with several private individuals, including Paul Allen, to compile and preserve their papers and collections. “ ‘Is it time?’ ” said Mayfield. Mayfield thought she would work with Doig through the summer of 2015, but his condition worsened, and he died in April. In life, Carol Doig was Ivan Doig’s right arm, if that is even a sufficient description. She supported his writing life by teaching college journalism. She traveled with him, took notes with him, took pictures of things he wanted to record and even wrote emails for him, until he warmed up to the notion. Once he died, she never wavered in her conviction that Ivan’s work should live on. “What I want is to have it globally available so anyone — student, scholar, freelancer — will have it to use,” she said last month. 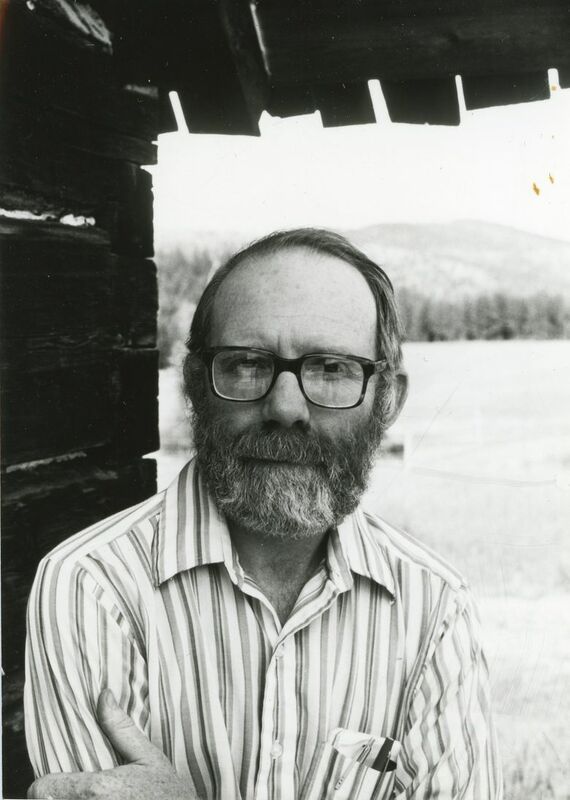 “I want it used.” She considered proposals for accepting Ivan Doig’s archives from three universities — the University of Washington, Stanford University and Montana State University. In the interim, Carol offered me an opportunity to tour the archives. I had interviewed Ivan Doig several times, but seeing the evidence of his creative process was almost overwhelming. I felt like I was looking inside the mind of a writer. A box from Ivan Doig’s archive, devoted to Montana folk sayings. 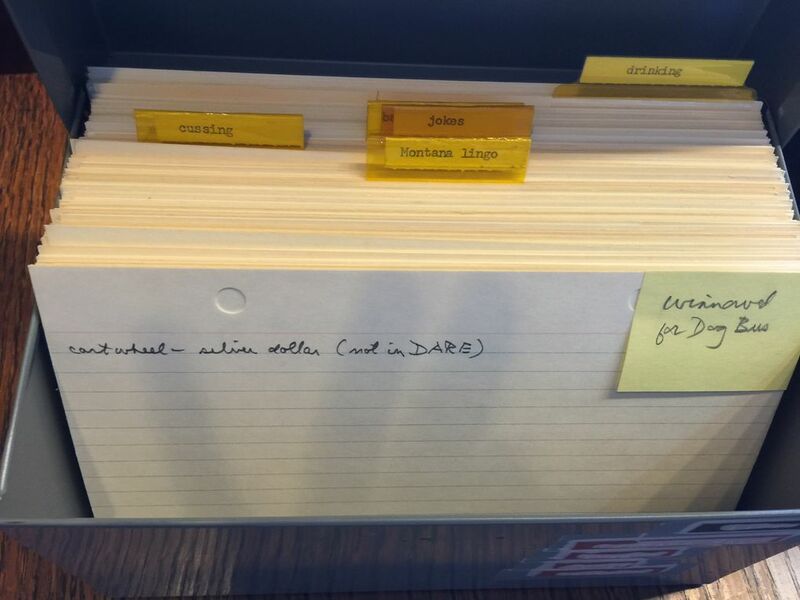 There were files of 5-by-8 notecards, neatly categorized by topic and subtopic. One of my favorites contained these sections: Montana lingo. Cussing. Jokes. Drinking. Get up on your hind legs and (say so). Hotter than the bifurcated hinges of Hell. One of Ivan Doig’s diaries, bound with archival tape. There were diaries, neatly typed, taken from their plastic binders and bound in archival tape (plastic binders degrade the paper). There were yellow pads with lists of upcoming books, probable word counts for each book and the advances he hoped to get from them. There were slides of photos by both Ivan and Carol, neatly labeled and stored in circular trays (remember those?). There were manuscripts, including a chapter manuscript for “This House of Sky” called “Death Day,” about the death of his mother when he was 6. In the end, Carol chose Montana State University to take Ivan’s papers. While all three proposals had their merits, Bozeman, home of MSU, is close to where Ivan grew up. It offered the most complete proposal, essentially offering to digitize Ivan Doig’s entire archives. MSU’s plan is to scan, digitize and make available every piece of paper in Ivan Doig’s archives for anyone who wants to see it, study it or think about it. Manuscripts, file cards, drafts, slides, tapes — all will be available through a searchable database and a website devoted to the collection. If you’re in Siberia and have a computer, you will be able to study Ivan Doig’s work. The clincher for Carol Doig was the 26 letters of support: from the president of MSU, from a geographer who mapped the terrain in Ivan’s books. The entire archive was scheduled to be moved this past Friday, escorted by the university archivist and a special collections librarian – 86 archival boxes, 15 bankers boxes, 30 boxes of file cards and much more, including one of Ivan Doig’s sturdy old Royal typewriters. 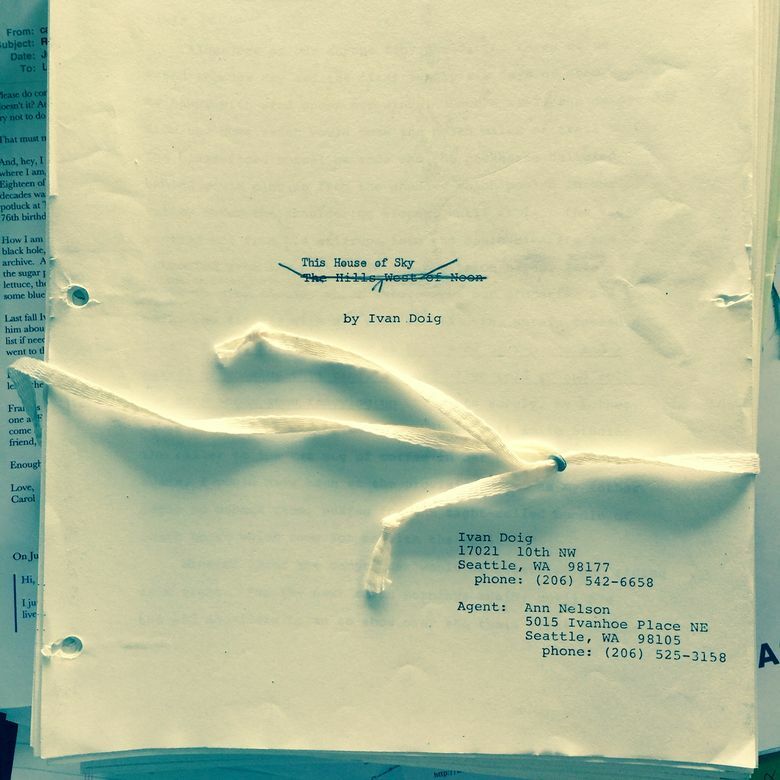 A manuscript of Ivan Doig’s prizewinning memoir “This House of Sky.” An earlier title has been crossed out. Kenning Arlitsch, dean of the library at MSU, said the Doig archives are important to his school because of the writer’s Montana focus. Montana is thick on the ground with writers, but several prominent authors have sent their work out of state (there can be something of a bidding war for a prominent writer’s papers). In his previous job at the University of Utah, Arlitsch oversaw several digital-library projects, including digitizing over a million pages from a collection of Utah state newspapers. He said the archive will offer a unique view of how a writer works, both for MSU students and others. I asked him if he was going to digitize every single index card. When I read Ivan Doig’s last novel, “Last Bus to Wisdom” this summer, I was seized with a powerful fit of denial. How can this writer be dead? His voice was ringing in my head. I could almost imagine him thinking how he would put a particular phrase, sentence, or paragraph together. After I saw his papers I had some small sense of how he did it, and something else; that in some significant way, his work is very much alive. And now it will be, for anyone who wants to study how he did it.